200W high-intensity COB LED with adjustable beam angle. 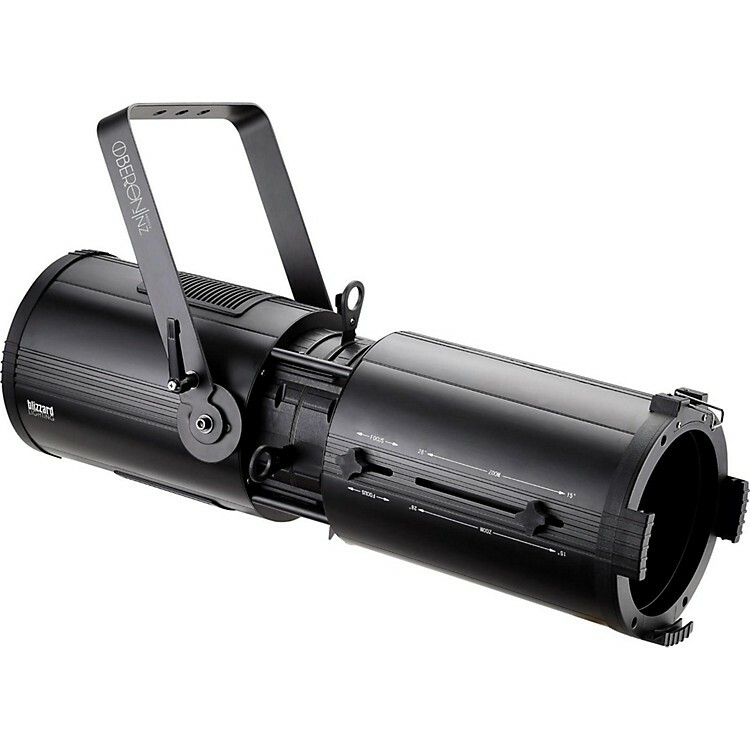 Blizzard’s powerful Oberon Profile NZ ellipsoidal imaging spotlight produces a high-intensity, sharp-edged beam that’s perfect for theatre, studio applications, nightclubs, museums, or anywhere where precisely controlled accent spotlighting is needed. Thanks to its zoom feature, you can adjust the beam angle from 15–28° to attain the perfect amount of illumination. Equipped with a 200W high-intensity 3200K tungsten COB LED, the Oberon Profile NZ offers an incredible CRI of 95. The light quality is comparable to natural sunlight and incandescent lighting, while consuming much less energy. It provides rich and accurate color rendition, natural skin tones, and can deliver brightness with ease. Users can manually zoom and focus the Oberon Profile NZ via two locking adjustment knobs located on the side of the housing. One knob controls the zoom/beam angle, and the other controls the focus. When the knobs are loosened, they easily slide back and forth to allow for a smaller or larger spot, with either a soft or sharp, finely focused edge. Pierce through the fog and darkness like never before—order your spotlight today.